Assam’s Director General of Police Mukesh Sahay has said the Paresh Baruah faction of insurgent group United Liberation Front of Assam (ULFA) is down, but not out. Image used for representational purpose. GUWAHATI: Assam’s Director General of Police Mukesh Sahay has said the Paresh Baruah faction of insurgent group United Liberation Front of Assam (ULFA) is down, but not out. The assertion came following two recent attacks carried out by the outfit in Tinsukia district that claimed two lives. “The ULFA is down but not out. I don’t have a fair idea about its current strength, but then, strength does not lie in numbers but in lethality. I can say, however, that something which was pervasive all over the state at one point of time is today confined to pockets bordering Arunachal Pradesh and Nagaland,” Sahay told The New Indian Express. 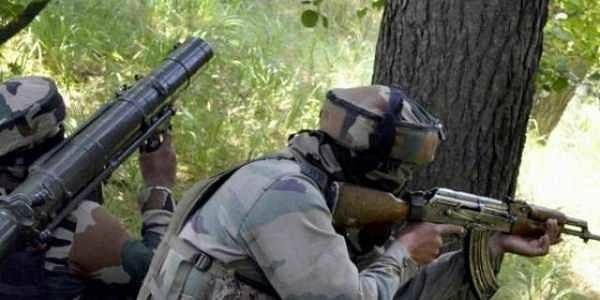 The state government is working in tandem with the neighbouring states to check the militants. Sahay said ULFA rebels were using corridors in Nagaland and Arunachal to sneak in and out of Myanmar and create mischief in Assam. “Our synergy with Nagaland and Arunachal and action in Myanmar are required. Our IG is camping (in ULFA stronghold in eastern Assam). Army officers are also there. We are pushing reinforcements and fine-tuning intelligence sharing with Arunachal and Nagaland,” he said. On proliferation of weapons, he said, “Chinese weapons, including hand grenades, are available with ULFA”. After lying low for a while, the ULFA shot dead a village defence party president and his son in Tinsukia on Monday. Reports said the two were police informers. Last week, it had unleashed terror by firing at a tea estate in the district.